Winter’s here to stay across much of the country, but even if it isn’t cold and snowy where you are just yet, technology can still make your life easier over the next couple of months. Take note of our low-tech ingenious life hacks to keep things toasty and hassle-free all winter long! As the weather starts getting extreme, you may find yourself in need of more detailed weather information than high and low temperatures for the day. 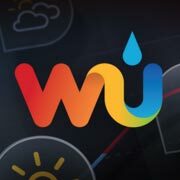 With an easy-to-use design, the Weather Underground app provides crazy accurate local weather forecasts, with data sourced from a community of weather enthusiasts reporting live from their own backyards. It’s like a Yelp for weather. We hope the worst that happens to you in the next snowstorm is that you’re stuck home in a warm house with plenty of food and just bored, but if you should you find yourself in weather-induced dire straits, consider downloading the free Survival Guide app. 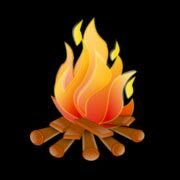 From building a fire in a snow-covered area to concocting herbal medicines to treat wounds, the survival tips come from U.S. Army Survival Manual. You can find anything on the Internet. Lest we forget, winter is not just a season to be survived—it’s a season to be celebrated. 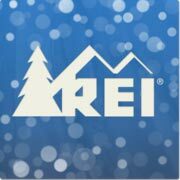 And there’s no better way to celebrate snow than skiing and snowboarding with the help of the REI Snow Report app. Snow Report provides conditions and weather forecasts for hundreds of areas nationwide, so you’ll never again have to spend the day in the lodge because there isn’t enough powder. The app also provides specifics on each resort listed, such as snow level, type of surface, and wind conditions. Cover your windshield wipers with old socks before snowfall. Is there anything worse than waking up after a wintry night and finding your windshield wipers stuck? If you’re going to park your car outdoors, try to always park it so that it faces east, where it can get the most morning sun. Don’t forget to reverse the ceiling fans in your house to keep warm air at floor level rather than sticking to the ceiling. Hand sanitizer, which is made up of 60 percent alcohol, does a good job of thawing those icy car and door locks. By the same token, a vinegar-water mixture makes a good overall de-icer. Before digging out your driveway, spray your snow shovel with nonstick cooking spray or WD-40 to keep snow from sticking to the surface. Keep home heating bills down by closing heat vents in rooms you don’t use. Having trouble with static? Keep a teakettle boiling on the stove for increased humidity. Also, stick a dryer sheet through the bristles of your hairbrush to keep your hair from lifting when you brush it.